Are you struggling to understand how to get the most out of your Facebook Page after the recent upgrade? 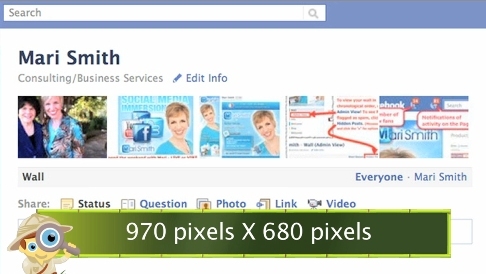 Do you want to know how to build your brand through Facebook Pages? Then be sure to watch this edition of Social Media Examiner TV with our host Mari Smith. In this episode, Mari gives you an in-depth look at Facebook Fan Pages, all the recent changes, what they mean to you and lots of new Facebook marketing tips. Share your feedback and see the show notes below! Editor’s note: This video was shot shortly after the big upgrade – so at minute 1:30 where Mari talks about “the big thing people are most up in arms about is that posts are no longer in chronological order” is now no longer accurate. Due to mega pushback from users (as is often the case with Facebook’s changes! ), Facebook has since added the ability to have your wall posts as “Top News” (popularity order) and “Most Recent” (chronological order). Also, Admin View has since been replaced with “Hidden Posts” and is basically your spam filter view like it was before. There is no longer an Admin View. 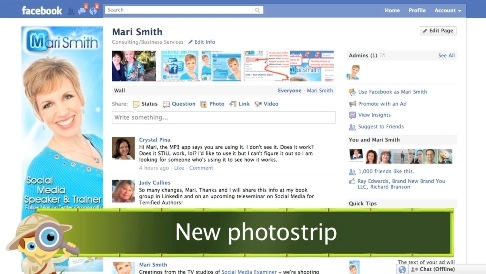 Mari explains how to upload a custom image to use as a powerful marketing tool. Most of your fans will only see your updates in their News Feeds and not on your Page. So be sure to listen to Mari’s hot marketing tip on how to increase your visibility in your fans’ News Feeds. Watch the video to learn more about how you can improve your Facebook marketing on the new Fan Pages! If you’ve enjoyed this episode of Social Media Examiner TV, make sure to tweet about it (use hashtag #SMEtv), share it on Facebook or even embed this episode on your blog. We want to hear from you! What great Facebook marketing tips do you have to share? Please tell us in the comment box below.